This week, 26th January – 2nd February, is National Storytelling week and as anyone who regularly reads our blog will know we are a family that love stories and so it seems only right to celebrate this week with competitions to win some stories and interviews with those that make our love of books possible. Early this month I had the absolute please of interviewing Kasia Dudziuk, illustrator, designer and co-creator of ‘The Goes to Sleep’ books, about her experience of storytelling and fascinating career as a children’s author. Hi Kasia, thank you ever so much for agreeing to be interviewed for The Strawberry Fountain. Can you start by telling me why you feel it is so important to encourage children to read? I feel reading is a very wonderful thing. It’s so important in stimulating and enriching a child’s imagination. Reading helps in developing creativity and adds a bit of magic into their lives. What was your favourite story when you were a child? My favourite story when I was a child was ‘Little Red Riding Hood’ by the Brother’s Grimm. Fairy tales and nursery rhymes have always fascinated me, as I love the idea of a fantasyland completely different from the real world. These stories often fuel my imagination – helping me in creating my illustration work. Have you always wanted to be a children’s illustrator? Although I was very good at all the subjects in school, Art and Graphic Design were my favourite and I enjoyed these classes the the most. At a time when I had to decide to either pursue Mathematics or Art at University, asking my mother what she thought, she gave me the best piece of advice:- “Do whatever you enjoy the most, as you will be doing it for a very long time”. Specialising in to be a children’s illustrator came later at university. Again, it was the sector of illustration, which I enjoy the most. Which children’s illustrators inspire you? There is so much talent out there and it’s all incredibly accessible nowadays with social media. Artists which continuously inspire me are:- Mary Blair, Alain Gree, Tim Walker, Miroslav Sasek and Edmund Dulac. Can you tell us a little bit about how you became a children’s illustrator? I’ve always loved art and been passionate about the creative industry. But becoming a children’s illustrator and immersing myself in the children’s publishing industry was a path, which I developed whilst on my degree course at Falmouth University. I did many work placements whilst still at university and was lucky enough to go straight into working for one of the big publishers just a month after graduating. I have never looked back since. What is your latest book about and why should parents embrace it as their book of choice for storytelling week? My latest creation is the incredible ‘Goes to Sleep’ book. I’m hugely proud of it as it’s been developed with the Children’s Sleep Charity and other leading children’s sleep specialists to actively help parents develop a better sleep routine for their child. Better sleep for children mean more sleep for parents! 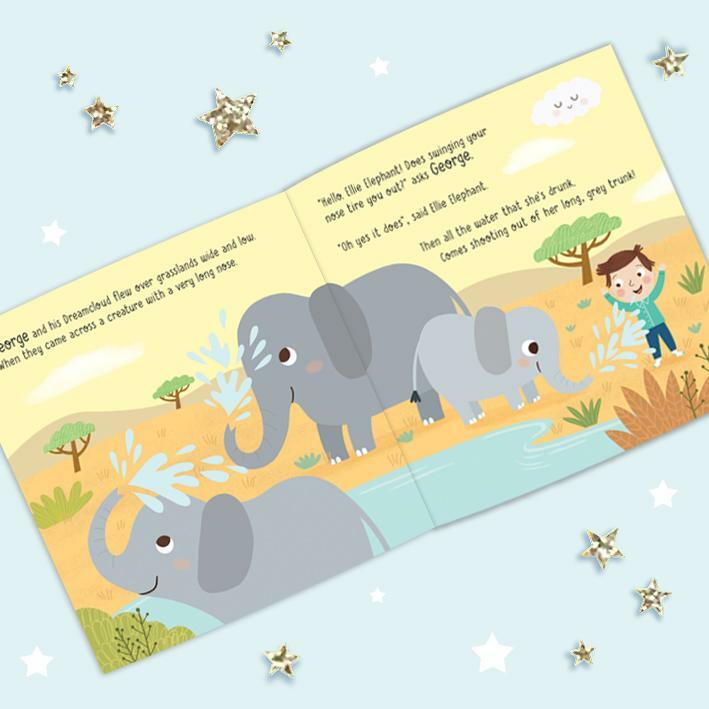 It’s written with gentle rhyming text and accompanied by delightful illustrations, but the best bit is that each book is a one-off, personalized online to suit each individual child. Do you have any plans to illustrate any more books and if so can you tell us anything about what we can expect from them? Absolutely. Illustrating and Designing children’s books is my profession so there will be more books from me. Currently, I am still working on creating more stories and artworks for ‘The Goes to Sleep’ book for children to have a wider variety of animals to go on their bedtime adventures with. Thank you for taking the time to answer these questions, it has been lovely to hear from you. 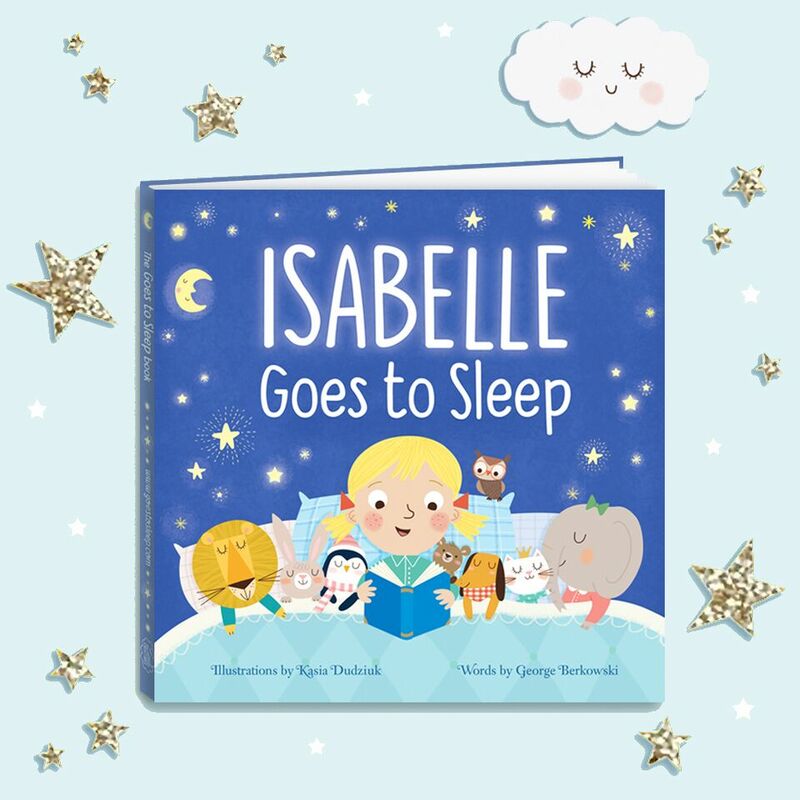 If you would like to know more about the “Goes to Sleep” books that Kasia has illustrated you can have a look here. (We were gifted a copy of the book in exchange for this interview).